Pull yourself together, lady! You need clothing that keeps up with you and your lifestyle. The Harriet Leather Sleeve Military Jacket combines style with utility. 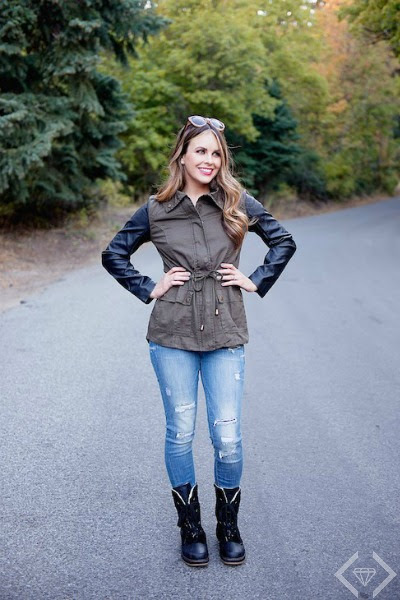 Faux leather sleeves take this otherwise classic military jacket up a notch and gives you durable clothing women need. Add a scarf on those chilly days and you will be looking effortlessly chic. All that style, combined with the fact that it is available in sizes S-3X, makes this your new must-have for those chilly Fall days.